The Milk Market on Cornmarket Row, Limerick City, has been in operation for over 150 years. 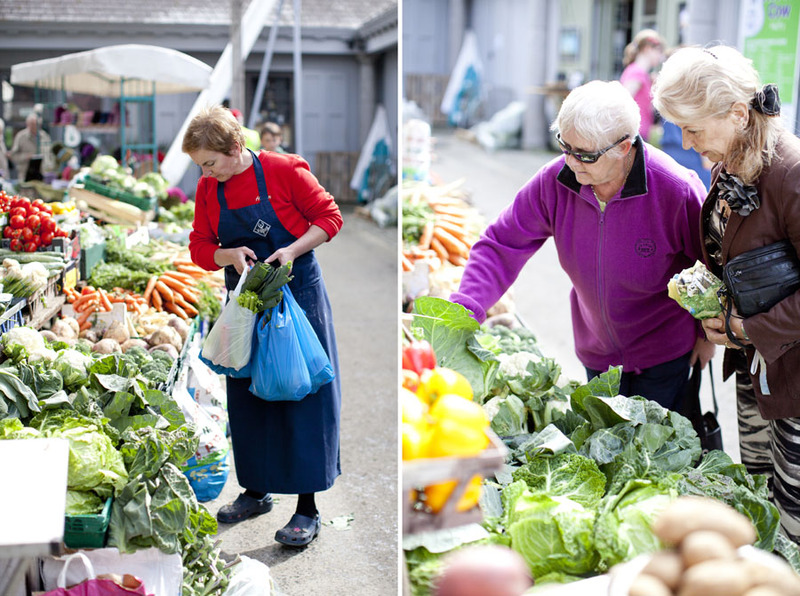 It’s open on Friday, Saturday and Sunday but I usually head down to the Saturday Food Market when I am in Limerick. My husband James is from Limerick city and the market is always a great place for us to meet up with friends and family for a coffee and a chat and to pick up supplies for dinner. 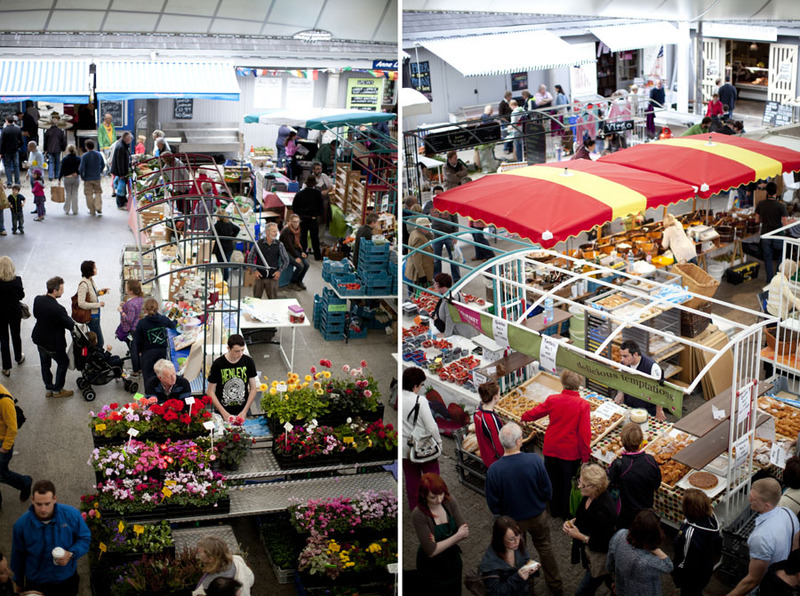 The market is a high quality food market selling the best of what Limerick and the surrounding counties have to offer. 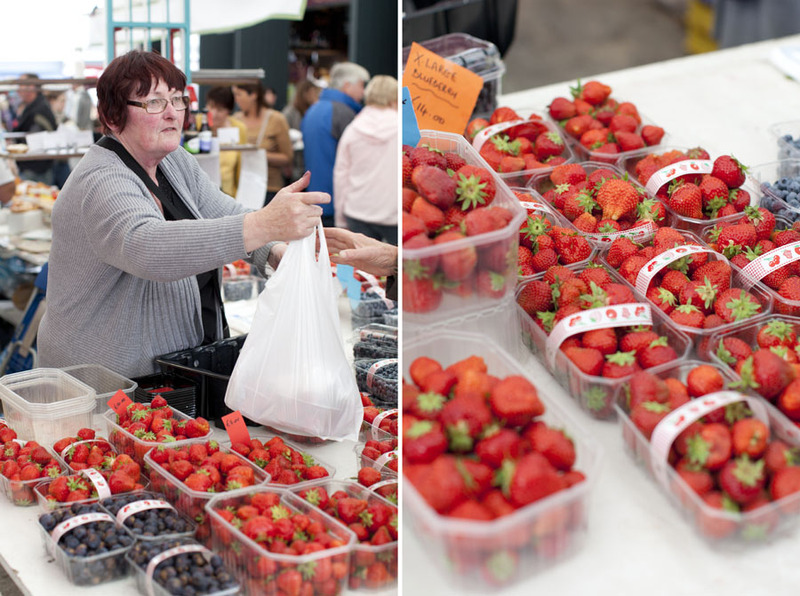 The Market recently underwent a major upgrade and redeveloped which saw it reopen in 2010 as an all-weather market. 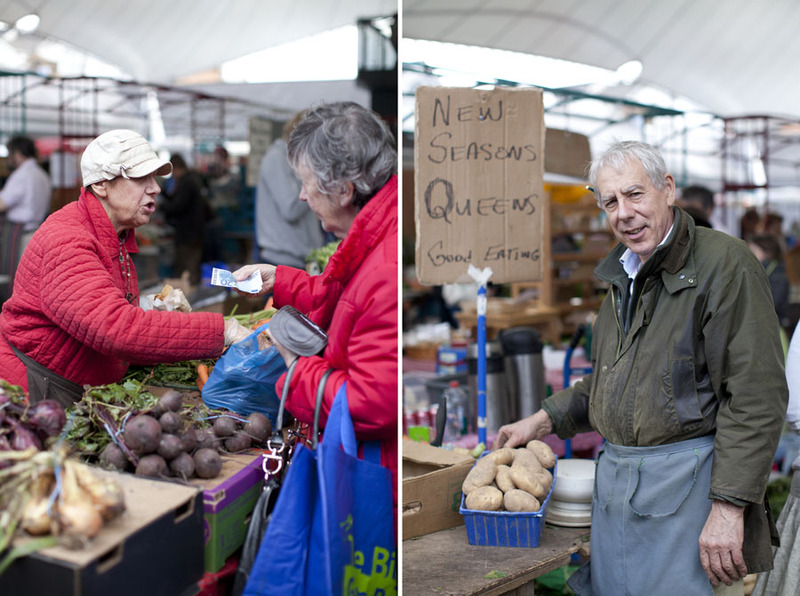 Sam, right, has been selling vegetables from his stall at the Milk Market since 1985. The New Season Queen potatoes he was selling were freshly dug from his neighbors property. Sarah Woulfe, left, from Sarah’s Pantry offers a wide range of yummy vegetarian foods on her stall at the Milk Market every Saturday. 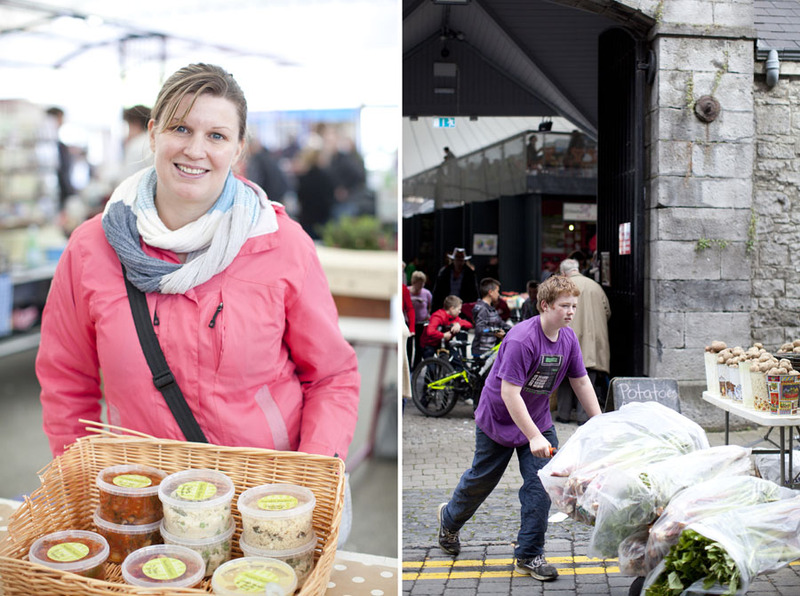 Sarah runs various cookery lessons from her home in Dooradoyle and also provides catering for all kinds of events. My Mother-in-law picked up scrumptious veggie frittata and lemon humus from her earlier in the day. Very nice! 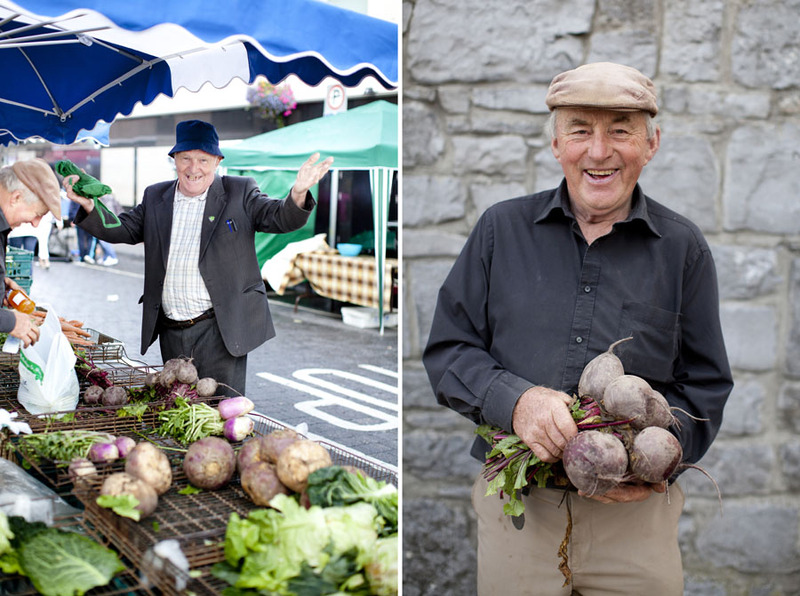 Noel Battles is a local grower who has been selling his veg at the Milk Market for over 30 years. It was pretty late in the day by the time I was speaking with him. His stall was running low after a great day’s trade. 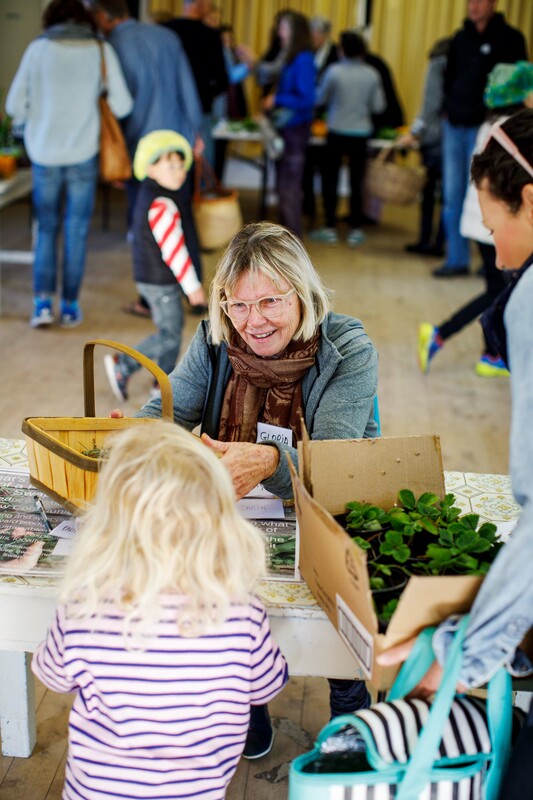 Eileen Toomey from Banemore Organic Garden sells her eco-friendly organic plants, herbs, vegetables and flowers at the Milk Market each Saturday. Her garden, in Banemore, Broadford, Co. 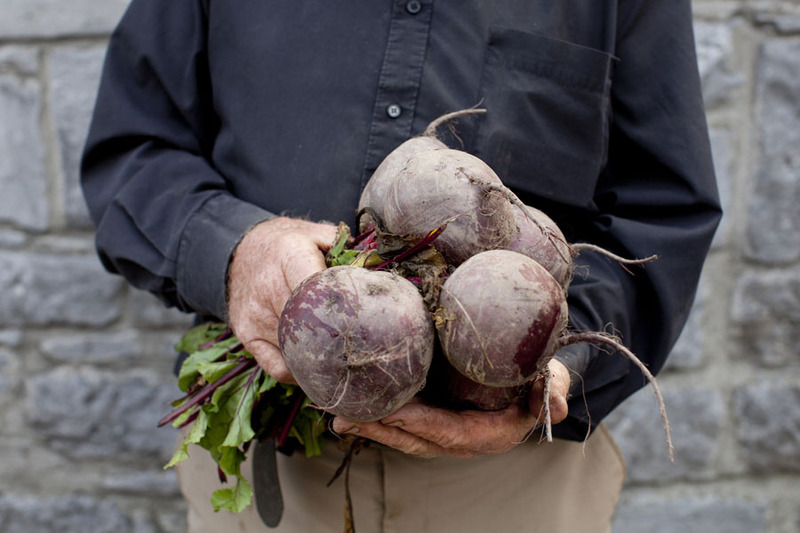 Limerick, is just under one acre and has been certified Organic with IOFGA for two years. 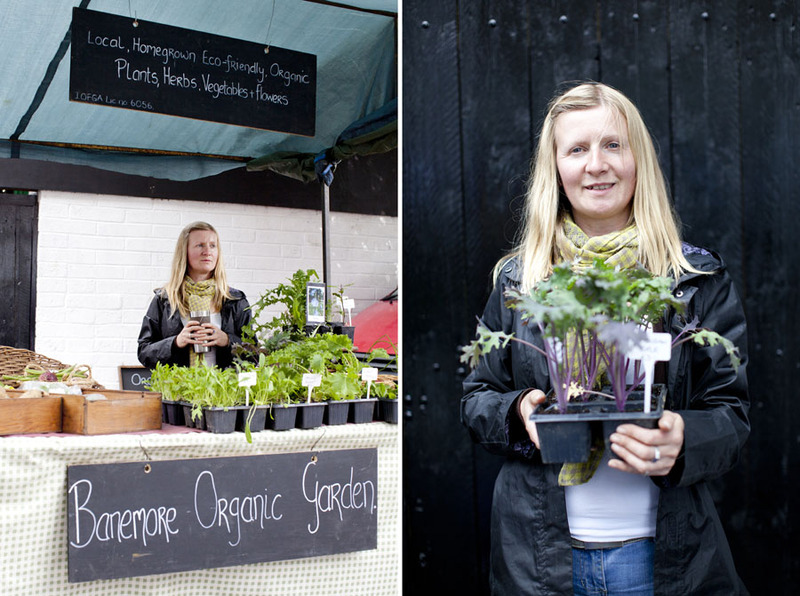 Eileen grows plants in trays and pots such as Cabbage, Lettuce, Salad Leaves, Spinach, Kale and many more, with potted herbs being a big feature too. We chatted about the importance of sustainable practices in food production and she was kind enough to give me a beautiful bag of fresh organic coriander. Matthew works for a family run farm in Limerick. 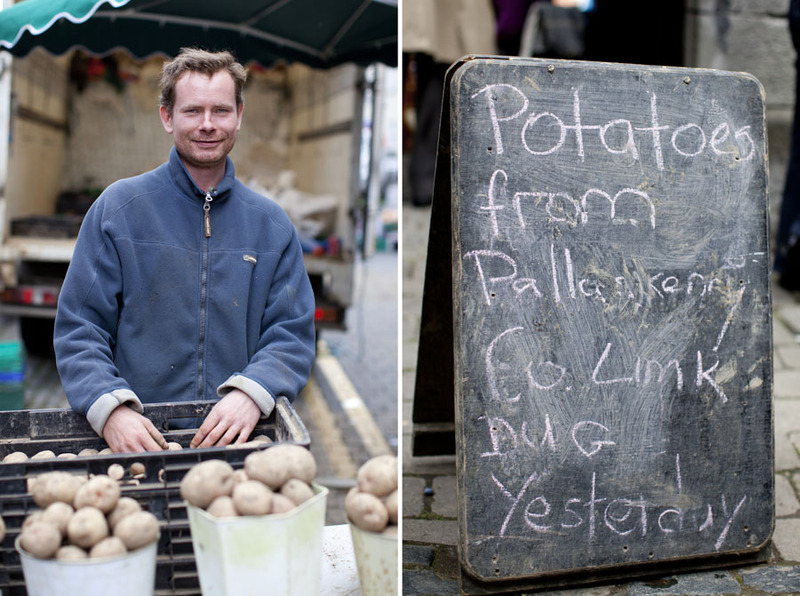 Here he proudly displays the potatoes he had dug for the market stall the previous day. You can’t get any fresher than that! I love your photos, they are beautiful. 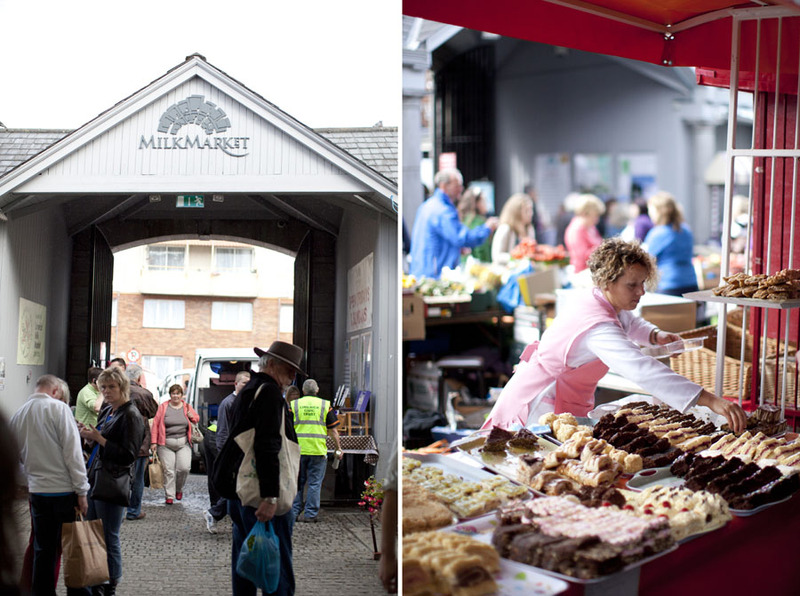 I just want to go to Limerick and visit the market right now. More beautiful photos! I especially love the one of the man with the beetroot. Gorgeous and beautiful market + photos!!! Markets are my favourite places, whereever I travel I need to visit at least one market! 🙂 I also love your portraits.